Fast 50: Bar Harbor Lobster Co.
Bar Harbor Lobster Company, including Boston Lobster Feast, Bar Harbor Retail, and ClawDaddys, received the honor of being one of the Top 50 growing companies in central Florida. 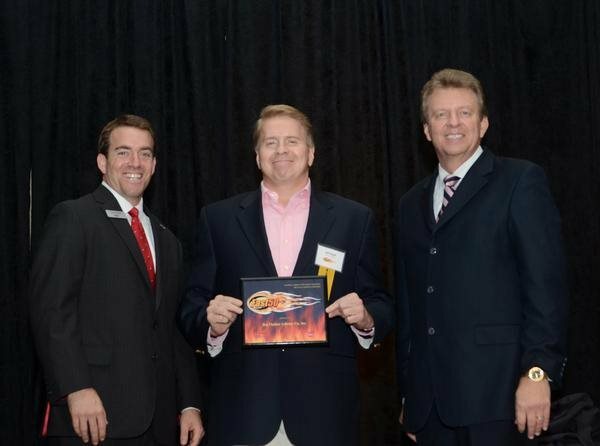 Jeff Hazell was also recognized as one of the 2013 Most Influential Men. A huge thanks to all of our suporters and customers. We are here for you! Market strategy: At our restaurants, we offer an all-you-can-eat lobster and we provide quality, value and excellence in seafood preparations and sales for our distribution customers. Accomplishment: Last December, we finished an 18,000-square-foot addition on our Orlando plant. In addition, we implemented a state-of-the-art technological lobster holding system to keep them alive longer, since when lobsters aren’t in their natural habitat, they slowly die. Future plans: We want to be a $100 million company in the next three years. We are expecting to reach $70 million in total revenue in 2013. It will be a good year because now we distribute our lobsters throughout Florida to hotels, restaurants and other buyers. Most impressive business statistic: In my restaurants, we serve 450,000 pounds of lobster a year and we sell another 2 million pounds a year to other buyers. Our growth is due to: The fact that when the recession hit, I went on the offense and not defense like other companies. We hired more salespeople with the mindset that the bigger the risk, the bigger the reward, and it paid off.